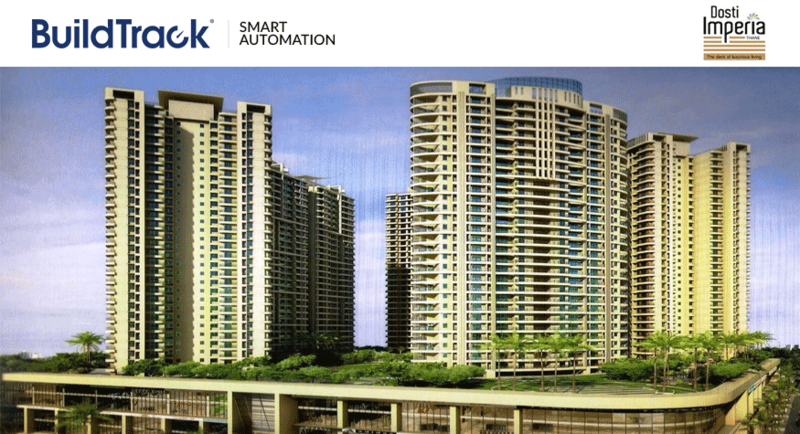 BuildTrack smart automation has been chosen by Dosti Group for one of its projects in Mumbai, Dosti Imperia. Dosti Realty is one of the renowned builders in real estate sector. In the space of a little over three decades, they have built an impressive portfolio of over 5,500 homes that house over 27,500 residents in 95 impressive Dosti complexes. BuildTrack house automation that includes Remotes, Sensors, Video Door Phones and Smartphone control system is planned to be installed in the project. BuildTrack will initially be doing the sample apartment automation in the month of July. Dosti Imperia endeavours to stir the desires of the people.